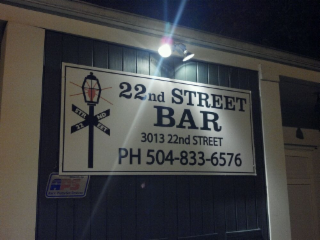 Chow down on all of your pub favorites at 22nd Street Lounge in Metairie. Drinks are also on the menu here, so diners can start the night off right. Enjoy discounted food and drinks at 22nd Street Lounge's happy hour. Make the most of the warm summer months by dining outdoors in 22nd Street Lounge's beautiful outdoor seating area. At 22nd Street Lounge, you can dine with your immediate family and your extended family due to the easy seating for large parties.